As you might have already noticed, many businesses have already increased their pricing due to the festive period coming up. We have spent a lot of time together, it is clear that this relationship between your car and us is serious. 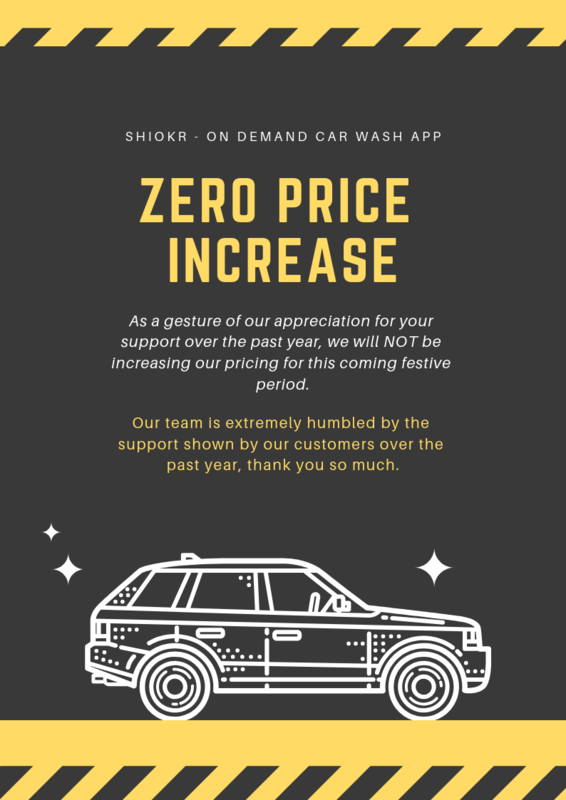 As a gesture of appreciation for your support, there will be no price increase for this coming festive period. There will be exciting app updates, products and region expansions this year as well so keep a lookout for our emails. Once again, thank you so much for using our service. We hope to continue serving you for the years to come.